We love fabric and we love clothes!! !… and our philosophy is that we source high grade clothing that has flaws and would otherwise be destined for landfill. We focus on genuine leather and denim, and have fun with our bags by using retro and vibrant linings inside each bag. Our fabrics are sourced locally from second hand, charity and hospice stores. 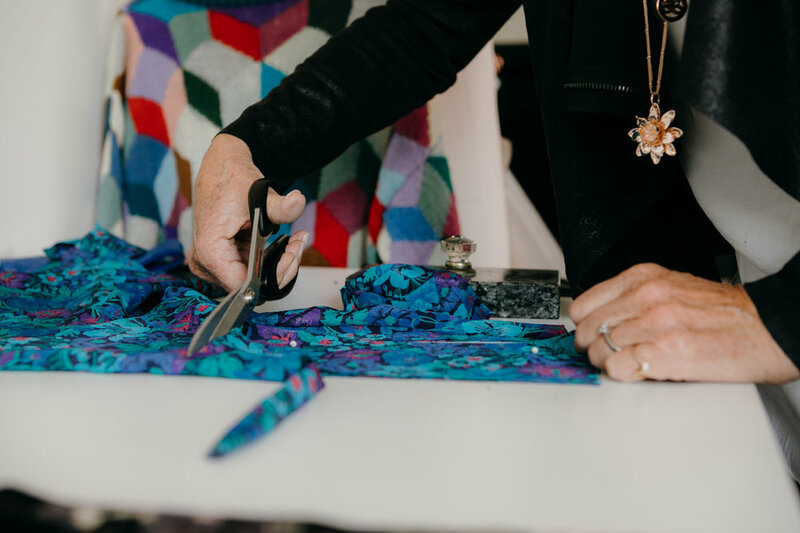 When we fall in love with the fabric and texture of the clothing we recycle, and after we’ve checked the quality to ensure they will be durable enough for the purpose of our bags, we vow to give them an amazing new life as a modern and lush OUTLIV accessory. Once the clothing, our fabric, has been sourced and purchased we then take this to the next ‘processing stage’. We identify all the flaws and carefully wash each item of clothing with an eco product (our fav is ecostore). Once washed and smelling fresh we hang each item to line dry outside for over 24 hours to air… really air dry. 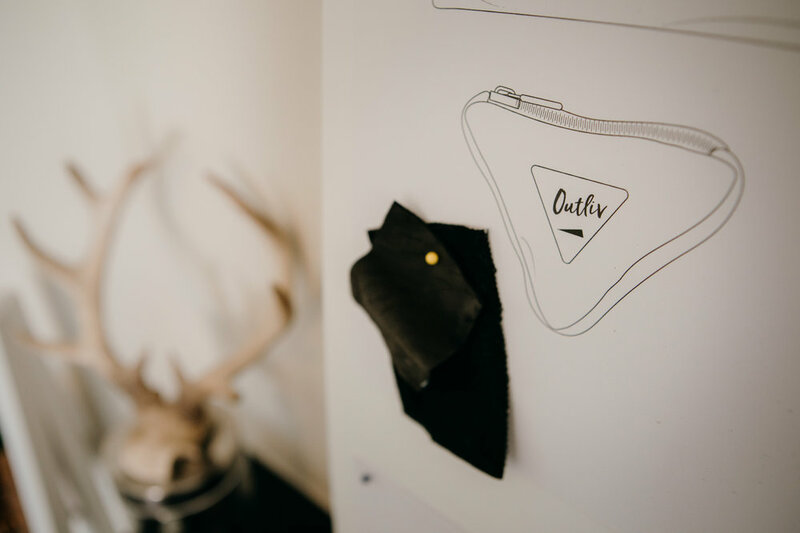 With our leather garments we only air these and where required we treat with natural beeswax products to ensure the leather is lush soft and protected. We iron all of our denim and linings to ensure that the fabrics are dry, fully sterilized and pressed ready to cut. Each bag is designed with consideration given to low to zero waste, ensuring we get the most out of each item of clothing we are cutting from. You should see the size of our smallest scraps!!! Each bag is cut by our small team in the OUTLIV studio. The creation of each bag is carefully considered when matching fabrics, textures, colours and patterns. This is super fun and we absolutely love what we do! Once all the panels of fabric have been cut for each style of bag, these panels are carefully bundled together with a design sheet. We include any trims needed, our branded patches (made using recycled clothing) and note any further construction details… and sent the bundles off to our amazing machinists. We would not be here without their knowledge, dedication, patience, high standard of craftsmanship and creative flair. So much love!